New apartment with balcony and sea view, with 2 bedrooms and two suites, the 1st bedroom has 1 double bed and 1 single bed and new air conditioning and TV 40 p, the 2nd bedroom has 1 double bed box and 1 single bed and new air conditioning and TV of 43 p, living room 2 rooms with TV 55 p, plus the 1 bathroom. The sofa in the living room turns into 2 beds and still has 2 orthopedic mattresses for use. Full kitchen with all household appliances, and cabinets. Make your stay in this special building, located in Prainha, 10 meters from the beach, Prainha Residence Condominium has a large leisure area with a privileged view to the sea, has tables and umbrellas, barbecue area, adult swimming pool and children's playroom, games room, sauna and fitness room for everyone's enjoyment. The city is small and has several beaches beyond the beach that is from the front gives to go walking or by trail to all others like the beach of angels, big beach, beach of the pontal, prainha do pontal do atalaia, brava beach ... short distance to markets, pharmacies, restaurants, bars, snack bars, gas stations, ATMs, bakery and etc. Mi estadía estuvo muy bien. El departamento amplio y cómodo. O ap. é muito bom, a Renata foi bem prestativa e respondeu rapidamente as msg. A localização é na Prainha, pé na areia e é um ótimo lugar pra ficar com a família, praia limpa e tranquila. Gostamos demais da nossa estadia em Arraial. Apartamento muito bom. Viagem show de bola. 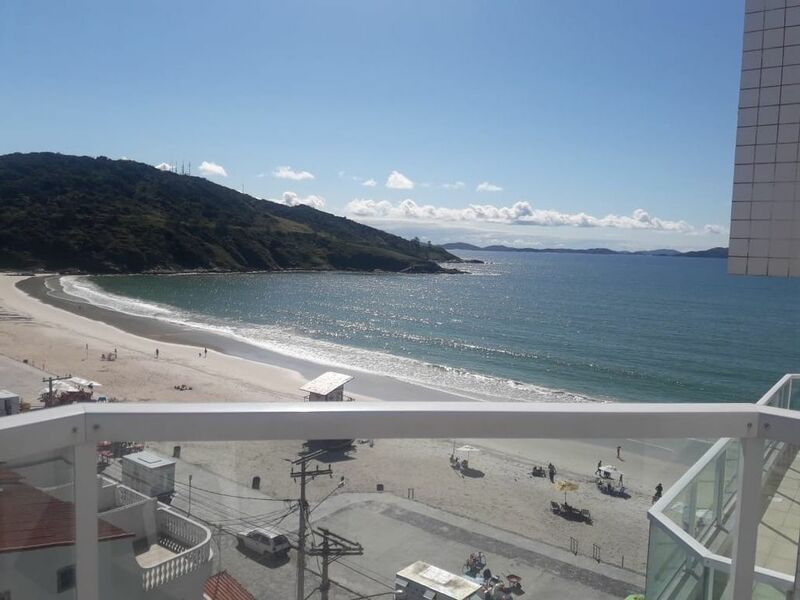 Otimo apartamento; prédio de frente para a praia, otima recepção por parte do proprietário e funcionários do prédio. Excelente. maravilhoso !! ! ! ! ótimo apartamento, muito confortável, tudo conforme o anúncio.bem localizado e o proprietário muito simpático e atencioso. voltarei em breve. obrigado antonio. Obrigado pela preferência, aguardo seu retorno mas breve possível.